Tassels are I N ladies, no matter how you wear them this gem will keep you looking like a hottie while staying cool in the hot months! 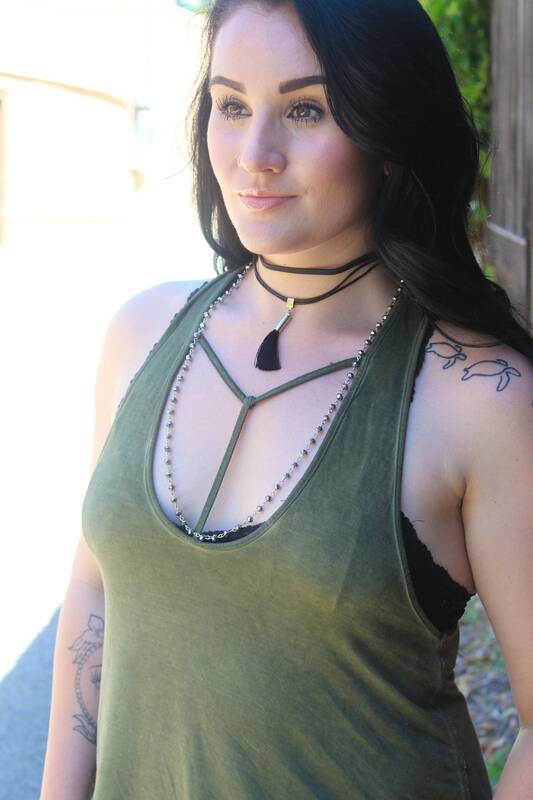 This beautiful choker necklace features a rosary bead chain, 22 Bullet, and silk tassel for an edgy look you can add to your favorite v-neck t-shirt or pair with a leather jacket and hit the road! Black goes with everything, hello! 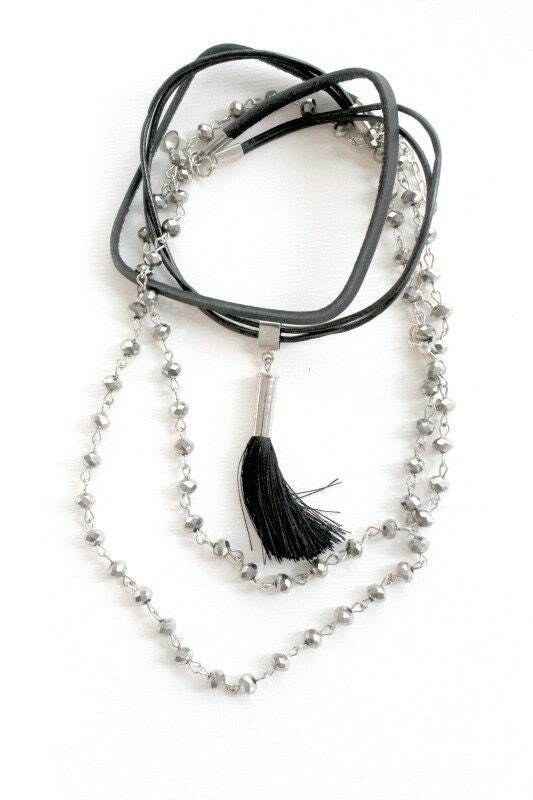 The rosary beads hang so gently from the choker necklace base to compliment your entire outfit. Structured Genuine Leather offers a soft, flexible wear for any temperature and occasion.